GST (Goods and Service Tax) shall be applicable from 1st July 2017. GST slabs are already decided. It is sure that once GST is enforced India will follow one tax one nation rule. GST reform is one of the biggest achievement of Modi Government. Three years of Modi government is over, in last three years the stock market has given very good return to the investors. If we check the performance of various index BSE, Nifty and Bank Nifty has given 27%, 32%, and 59% return respectively. Mid cap and Small cap index have given near to 100% return. Multibagger stock is a stock that provides a multifold return to the investor. It is very difficult to find multibagger stocks for the investment. However, one can find multibagger stock with careful research and study. In last year since Shri Narendra Modi has become prime minister, many stocks have given multifold returns. Few multibagger stocks among them are Eicher Motors, Maruti, Indiabull Housing, Indo Count, Can Fins Homes, Dalmiya Bharat and Bajaj Finance. Stocks market is likely to get a positive boost from GST decision. 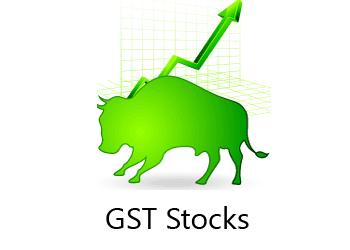 If you are looking for a stock that will get benefit from GST. 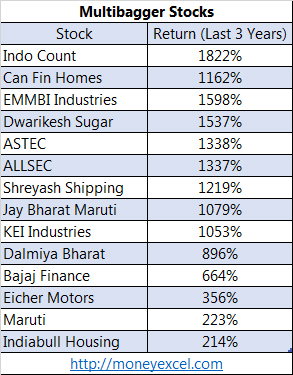 Here is a list of Top GST Stocks for investment. All these stocks are suggested by experts on CNBC Awaaz Program. The first top GST stock is Coal India. The tax rate as per new GST slab on Coal would be 5%. This will give benefit to largest coal producer Coal India. Due to low tax profit margin of this company will increase. On CMP of Rs.275 (May 2017), one can buy this stock with target price of Rs.365. All Cargo Logistics is logistic firm. GST will convert unorganized sector of logistic into an organized sector. Apart from this new GST tax regime is expected to trim logistic cost by 20% from current level. All Cargo Logistics is one of the biggest beneficiaries of this reform. CMP of this stock is Rs.181 (May 2017). This stock is expected to reach Rs.230 in one year. Britannia is next top GST stock for investment. GST slab on food related item is very low. It is a good news for food processing industry. Due to the reduction in tax, the input cost for manufacturing will be lowered down. Britannia is a leader in this segment and it is expected to get good benefit out of it. CMP of this stock is Rs.3555 (May 2017). This stock is expected to touch Rs.4065 in one year. The new GST slab rate for toothpaste is 18% compared to earlier 22-24% tax rate. This will definitely give benefit to all toothpaste companies. Colgate is leading brand in this segment. A balance sheet of this company is very strong. You can purchase Colgate with CMP of Rs.980 (May 2017) with a target of Rs.1180. Bajaj Corp is a fastest growing company in FMCG segment. GST slabs will improve the margin of this company. The balance sheet of this company is strong. Bajaj Corp is debt free company. You can purchase Bajaj Corp Limited with CMP of Rs.365 (May 2017) with a target price of Rs.450. What is your take on these stock? Where are you investing your money? Do you hold any of the stock mentioned above? What GST input tax credit? How to claim it?